The Keweenaw Health Foundation was inspired by the people that live here. One of the many great reasons why the Keweenaw is special is how we come together, as a community, when there is a need. 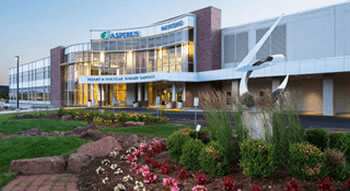 The Keweenaw Health Foundation is a place where patients, family and friends of Aspirus Keweenaw can express gratitude for the excellent care they received. Medical equipment costs are rising and government mandates are making it more challenging for us to keep costs down for the community. As a non-profit, Aspirus Keweenaw is committed to giving back to the community. Your contribution to the Keweenaw Health Foundation will help us continue to provide our community with benefit activities like education programs, free health screenings and charity care. 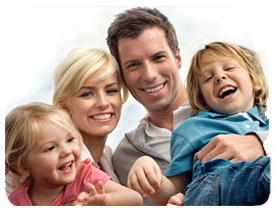 They are all part of our commitment to making a difference in the health of our community. The Keweenaw Health Foundation currently does not accept online donations. To make a charitable, please choose the appropriate option below and print the form to be completed and mailed to us. Standard Donation (print donation form) - Make a charitable donation to a specific need at Aspirus Keweenaw Hospital. 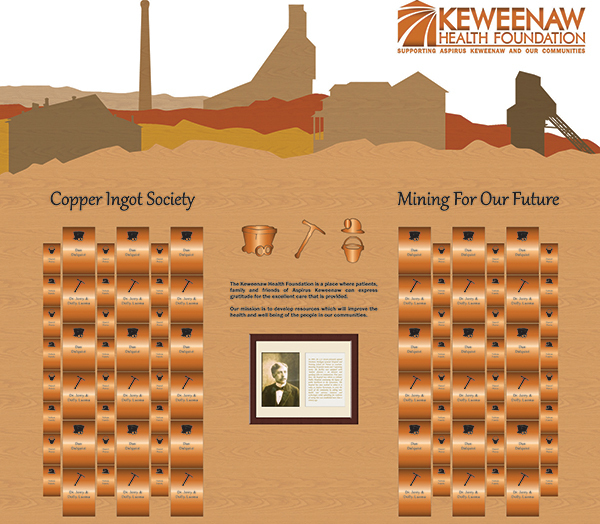 If your donation is at one of several different levels, you can become a member of the Copper Ingot Society and have your name placed on a donor wall. Click here for more information on the Copper Ingot Society. Recognize an Aspirus Hero (print donation form) - Now there's a way you can thank those who made your excellent hospital, clinic and specialty care possible: the Aspirus Hero program. You can name an Aspirus Hero by making a charitable gift of any size to support health and health services in our community. Your tax-deductible gift is directed to programs, education and research initiatives in hospice, trauma, pediatrics, cardiac, cancer, women’s health and other health services. When you make your gift, your Aspirus Hero is notified and receives a custom made Aspirus Hero lapel pin to wear as a symbol of your appreciation.